Worship at Peachtree Road is made special through the dedicated efforts of our talented guilds. Each guild plays an important part in creating a meaningful experience for the members and friends of our great church. 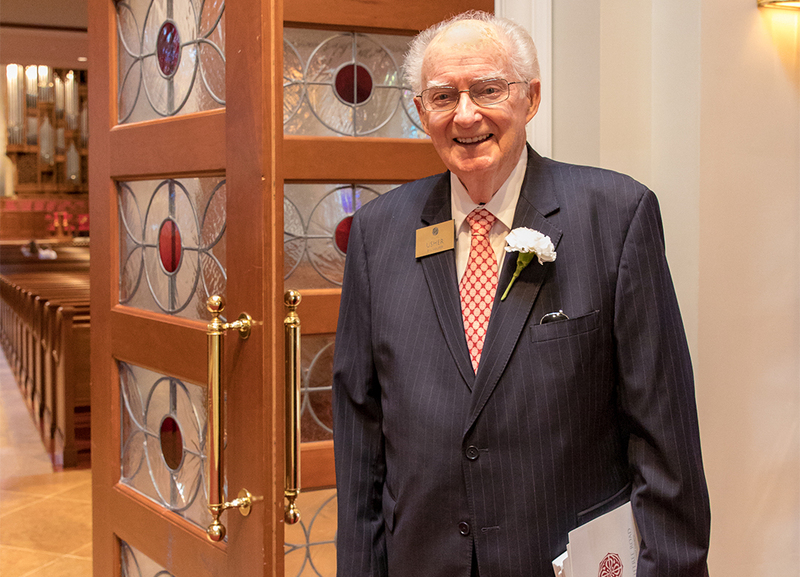 From the front doors to the sacristy, the guilds are the “firm foundation” for our hospitality! Guilds provide an opportunity to deepen involvement in the ministry and mission of our church while creating lasting friendships. Please expand the selections below for a brief description of each guild. 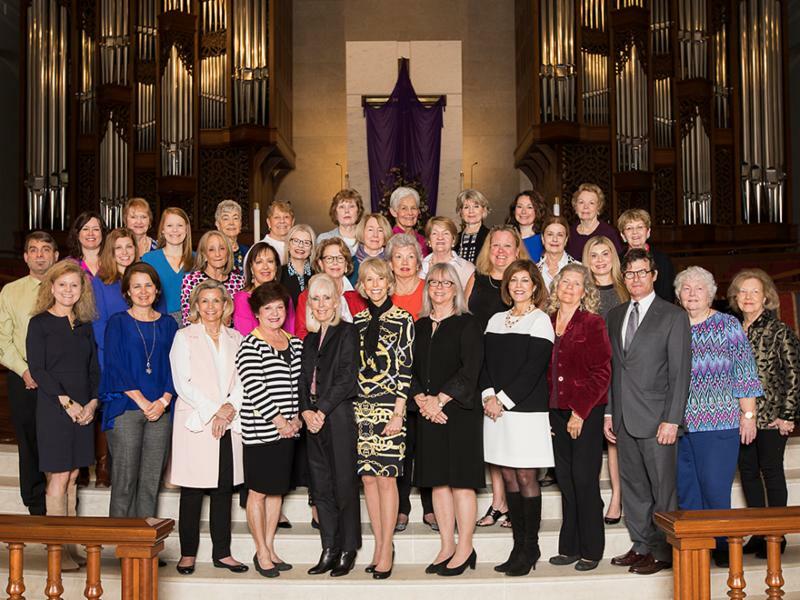 For information on becoming a part of a guilds, please contact Carolyn Stephens at 404.270.8207 or carolyns@prumc.org. From 1950 to 1975 Mary Stewart served as Peachtree Road UMC’s first “hostess.” Upon her retirement, The Altar Guild, named in Mary Stewart’s honor, assumed the multitude of duties she performed that kept the church running smoothly. The members of the Mary Stewart Altar Guild of PRUMC are the caretakers of our beautiful worship space and serve with great reverence. Their work is to glorify God and in doing so provide a fuller experience for the congregation. Their responsibilities focus on preparing for worship and caring for the corresponding elements. This incorporates a wide spectrum of opportunities for anyone with a desire to serve the church! The Altar Guild has nine committees which are described here (expand for information.) Commitment levels vary, and there is something for every schedule. The procession of acolytes signal the congregation to prepare their hearts and minds for worship. In addition to carrying the cross and sacred text, they bring the light of Christ into worship by carrying and lighting the altar candles. Acolytes are worship leaders! Anyone age 6th grade and above are invited to join a team. Invitation and training is provided in the fall. Each Sunday we celebrate the sacrament of baptism and welcome a beautiful child into the life of the church. To commemorate this sacrament, parents are gifted a hand-stitched linen cloth used during their child’s baptism. Members of the Baptismal Cloth Guild hem and monogram these linens with a elegant cross and then return them to the church to be pressed and folded. All work can be done on your own time, needlework experience preferred. The paraments that accent the pulpit, lectern and altar table correspond to the liturgical seasons of the Christian year. The Candles and Paraments Guild assure we are in line with the season and maintain the illumination elements in the main Sanctuary and Moore Chapel. The Altar Guild is an expansive group with a variety of schedules. How do we stay on track? The Communications Guild keeps the information flowing. We notify members of meetings, and other important notifications. This committee is vital to our team working as one! The Communion Guild “sets the table” and cares for everything that is needed for the Eucharist. They prepare for communion and care for the sacramental linens. 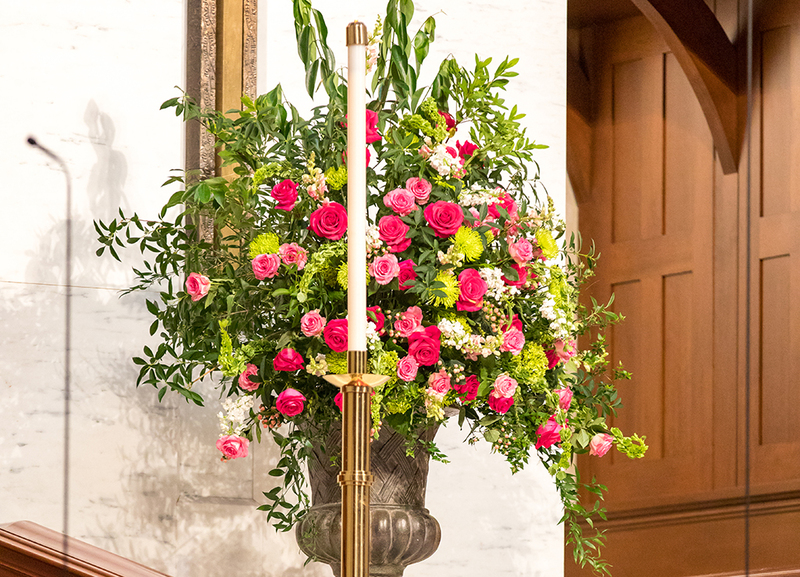 Each Monday the Visitation Guild creates lovely arrangements from Sunday’s altar flowers. The smaller arrangements bring joy to our members in the hospital when they are delivered by our ministry team. 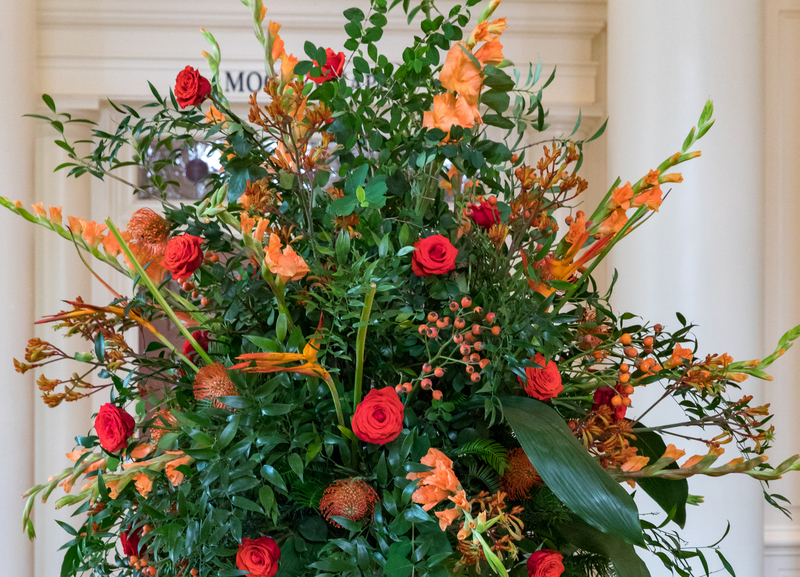 Additional flowers are used to brighten up the church offices during the week! Select liturgical seasons are marked by simple but stunning decor in the church – the cross swathed in purple for Lent or a dramatic red draping for Pentecost. The Liturgical Guild oversees preparation for these special seasons. Members of this guild are selected by an appointed chairperson. Week in and week out, worship runs seamlessly thanks to the Sunday Worship Guild. From placing the paraments on the altar to preparing the baptismal font, members lovingly begin and end the worship service behind the scenes. A Worship Team’s commitment is approximately one Sunday a month. Every worship service held in our great church is enhanced by the magnificent work of the Flower Guild. 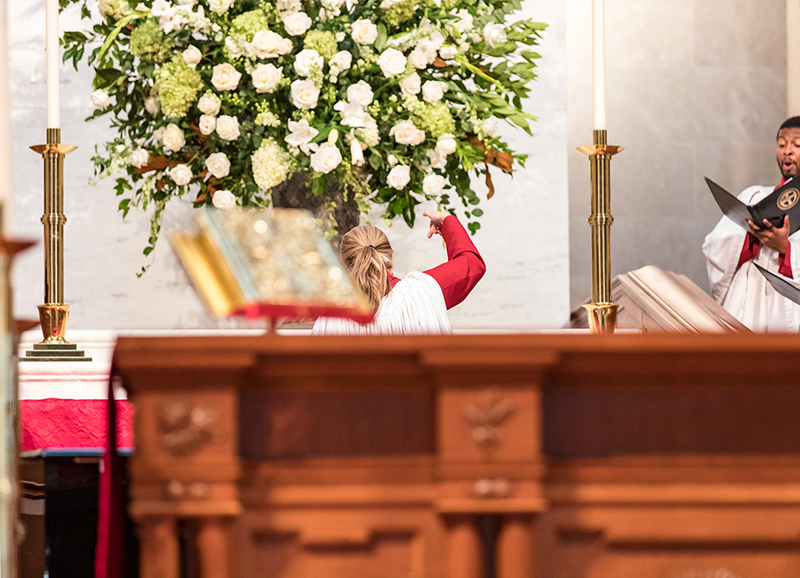 Teams meet each week to prepare glorious arrangements for our altar and rotunda. Every level of skill is welcome and newer members are paired with more experienced ones. A Flower Guild team’s commitment is approximately six times per year – either prepping during the week or arranging on weekends. If you enjoy arranging flowers, gathering foliage or being creative, the Flower Guild welcomes you! 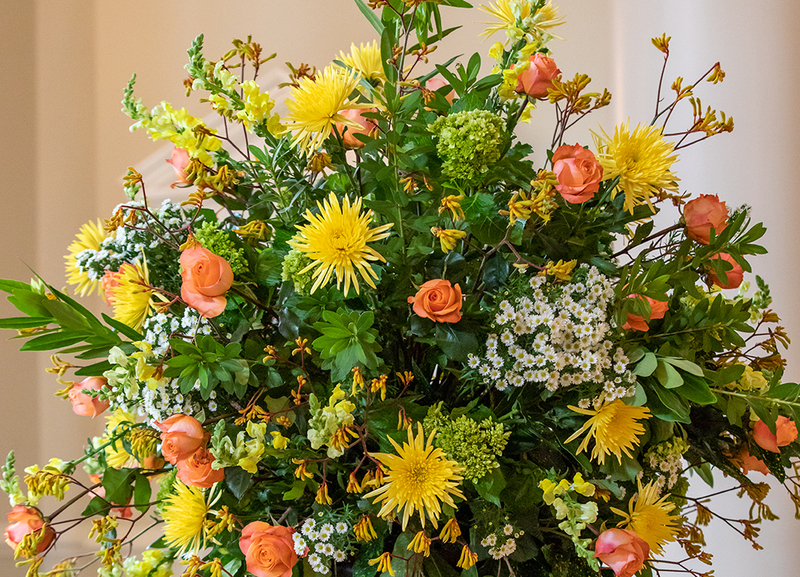 The Flower Guild is a dedicated group of women and men who are responsible for the flower arrangements you see every Sunday and the decorations on Palm Sunday, Easter, and during the Advent season. Working on the Flower Guild is a wonderful way to contribute to the beauty and meaning of our worship services as well as an opportunity to make lasting friendships. Please join us at our Fall Luncheon. All Flower Guild members and those interested in becoming a Flower Guild member are invited. RSVP to Ruth Sommerville at ruths@prumc.org by Oct 28. 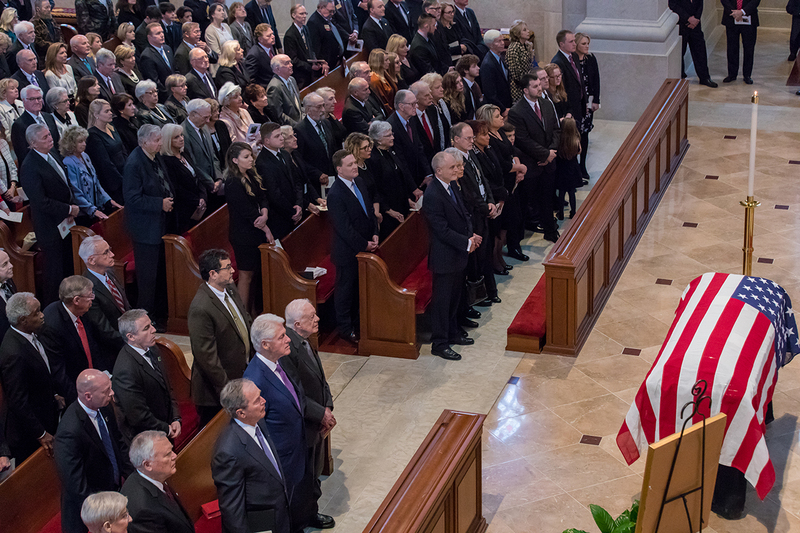 Though we celebrate the life of someone lost, memorials and funerals are emotional times. Exceptional support from our Memorial Guild gives comfort and assurance to family members. 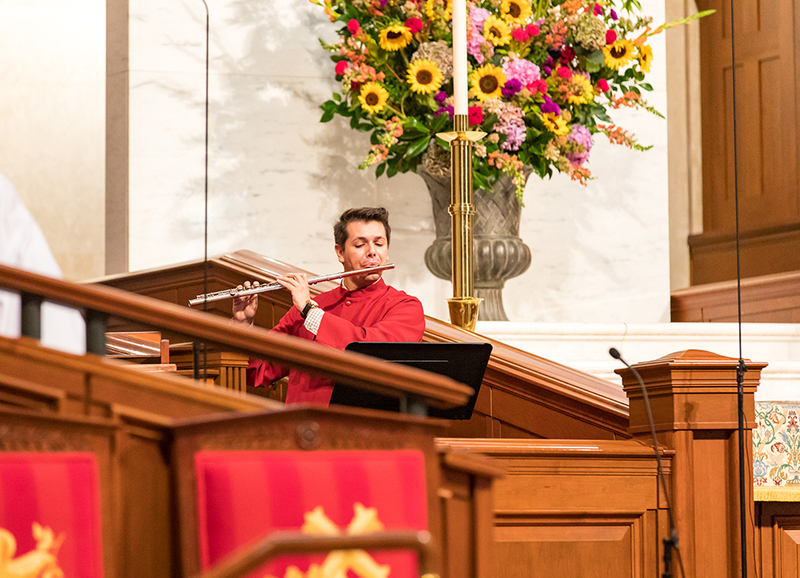 We assist clergy and staff by preparing a private, comfortable place for the family, directing guests unfamiliar with our campus, and ready the worship space for the service. Guild members are called upon as needed. This compassionate ministry serves those in time of their greatest need. The Sanctuary Guild maintains the pews in our worship space. The guild assures that the pews are refreshed and restocked each week with the necessary items. The commitment is flexible in many ways. You may work alone or with a partner on whichever day of the week suits you. You may enjoy quiet time in the sanctuary or catch one of our organists practicing beautiful music. 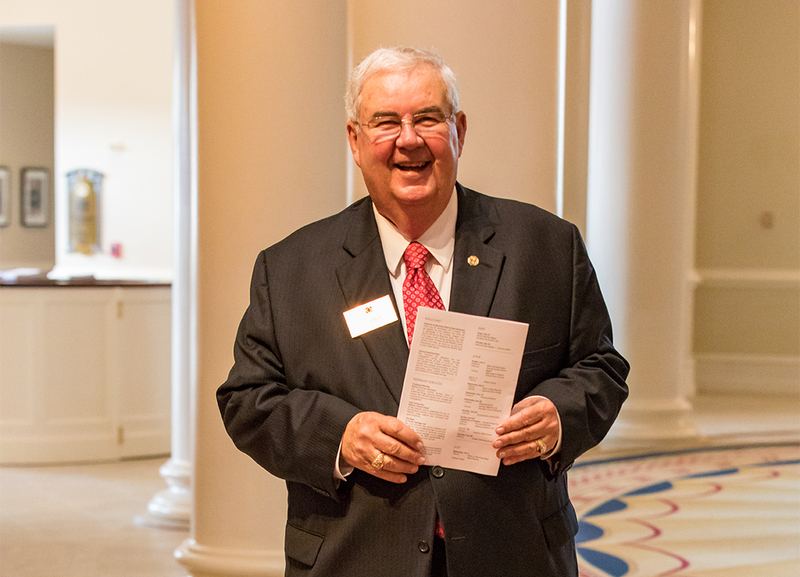 At each worship service, our ushers are the first to extend hospitality to our members, friends and guests. Their role is to make the congregation feel welcome and at home in any of our worship spaces. 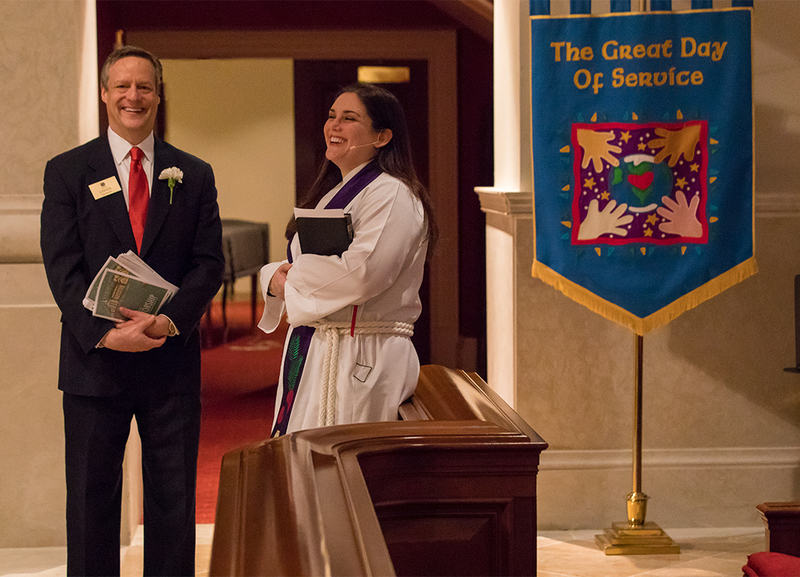 In addition to a friendly greeting, ushers assist with distributing the worship bulletin, collecting the offering, guiding congregants to communion and providing assistance as needed. An Usher Team’s commitment is approximately one Sunday per month. Being an usher is a great way to meet more of your church family!